Medical cannabis dispensaries have a crucial role to play. Dispensaries have existed in America since before medical cannabis was legalized (California was the first state in 1996). For a long time they were underground, then there came a phase where some operated with permission from some form of authorities while others continued to operate in grey areas. These days, there are dispensaries all over America. I live in a state (Oregon) that has had dispensaries for many years now. A licensed and regulated framework didn’t exist until 2013, but there were already dispensaries operating long before that. 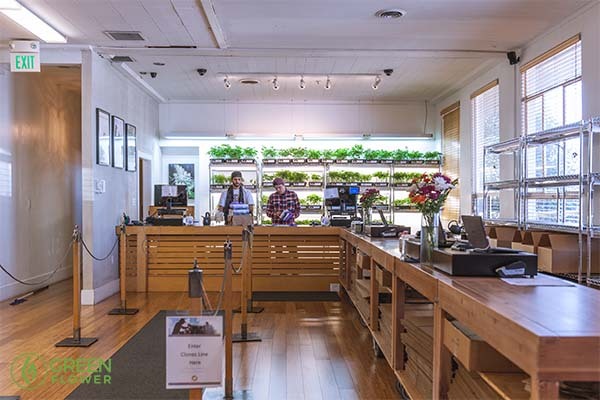 With adult-use cannabis also legal in Oregon now, there are dispensaries all over the place. But not in Eastern Oregon. Eastern Oregon is commonly referred to as Western Idaho (and they do not like cannabis!!). I live on the I-5 corridor, and there are dispensaries all over the place. Within one mile of my house I can think of at least ten dispensaries. Naturally, not all of them are created equal. There are definitely some outstanding dispensaries in Oregon, but there are also some horrible ones. The top response I received from friends and family members was that the number one thing that they judge a dispensary on is product quality. If the flower, edibles, concentrates, etc. are not top quality, most people will never come back, regardless of anything else. A good dispensary does more than just fill jars with Blue Dream flower and call it good. The average cannabis consumer is getting more and more sophisticated and knowledgeable every day. Consumers want all types of products, strains, and potencies. A good dispensary recognizes that and stocks accordingly. I personally like to pick up strains that I don’t see every day. Don’t get me wrong, common strains are good too, but I like to explore! This was another really big one that people brought up frequently. We have all gone into a dispensary and dealt with a budtender that just absolutely did not take any pride in what they were doing. You know the type – they are so on their high horse and/or lazy that they do the bare minimum to get you out the door. The fact of the matter is a lot of people have questions about what they should purchase. And they don’t want to just hear about the ‘strain of the day’ or whatever is trying to get pushed that day. Newbies and people coming back from a long cannabis hiatus want to age with someone that understands that the person has a lot to learn, and doesn’t need to be talked down to. I want to know where the cannabis came from, how it was grown, how old it is, and what is the budtender’s personal experience with it? Just as a waitress or waiter needs to have intimate knowledge with what the chef has prepared, so too does a budtender need to have intimate knowledge of the products that are stocked at the dispensary that they work at, and beyond. Another very popular response to my social media question was prices. Just as with anything else, people want a good deal. If all things are equal, obviously people are going to go with the cheaper option. 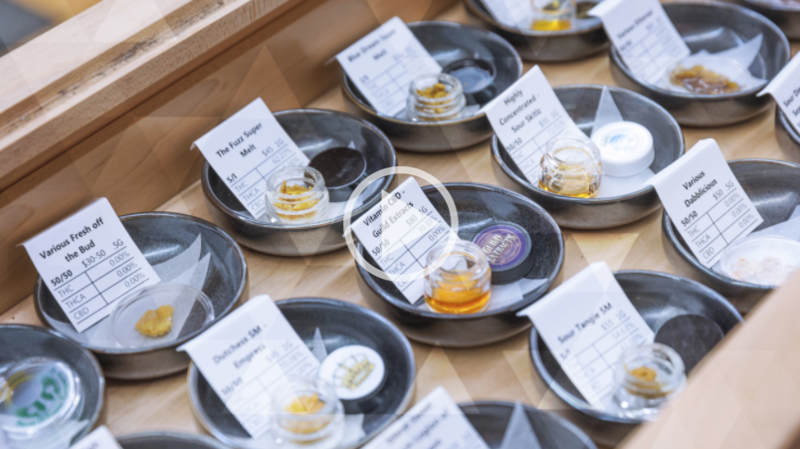 That’s not to say that price is the end all be all of the dispensary purchase decision making process, but it’s definitely a huge factor that consumers consider. I don’t care how great the ambiance is at your swanky dispensary – if the prices are outlandish, I’m not coming back. I remember a time when a dispensary could get away with cutting corners. In a lot of cases, a dispensary was the only place in town serving patients, so there was no need to come correct on a lot of things. I remember when the most popular dispensary in my town was located in a fifth-wheel trailer in a car parts parking lot. Those days are gone. Dispensaries need to be clean, professional, and inviting to patients. I have always felt that the communities that were most affected by the war on cannabis should be first in line to reap the rewards of the emerging cannabis industry. I have also always felt that consumers need to reward businesses that respect women, and not support businesses that sexually exploit women. I’m all for freedom of expression, but if you have to exploit women to promote your dispensary, you are doing it wrong, and you will never get business from me. One of the biggest indicators of a good dispensary is satisfied patients. I have been to dispensaries that I would go back to if I was located in their area, but they are more of just a cannabis service station than a compassion center. The patients that frequent those types of dispensaries will be quick to tell you that they just went there because it was convenient, but when asked which is their favorite dispensary, they will readily offer up a better location. That location is a good dispensary. That’s the one you want to go to too! A good dispensary takes care of its employees. From the janitor to the dispensary manager, and everyone in between. You can tell which dispensaries these are because their employees tend to come in on days off, smile from ear to ear when they tell you where they work, and you can tell are part of a dispensary family. If a dispensary doesn’t support reform, in a meaningful way (meaning with money, not just sharing memes on their Instagram), don’t give them your dollars. The reform movement is the whole reason that dispensaries are allowed to legally operate today, and if a dispensary doesn’t respect that by giving back, they don’t deserve your business!